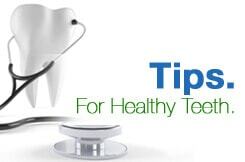 Many people believe that baby teeth are less important than permanent teeth. After all, baby teeth are just going to fall out, and new teeth will take their place. However, this is an invalid assumption. Baby teeth serve several important functions and need to be taken care of just as well as permanent teeth to ensure that a child remains healthy. Baby teeth hold spaces for the permanent teeth that will eventually replace them. Without baby teeth, permanent teeth could emerge in the wrong places and become crowded or misaligned. If a baby tooth falls out too soon or needs to be extracted due to decay, this can lead to problems with the locations of permanent teeth. Baby teeth also help the jaw develop properly. Baby teeth allow a child to chew easily. Without them, a child might not be able to eat a variety of foods, which could lead to malnutrition and associated health problems. Baby teeth help a child speak clearly. If they fall out too soon, a child might not be able to communicate with others. Cavities can be painful, even for young children. Tooth decay and gum infections can lead to problems in other parts of the body that can affect a child’s overall health. Taking care of baby teeth can prevent decay and infections and help a child remain healthy. Everyone should brush twice a day, floss once a day, and visit a dentist for regular exams and cleanings. Instilling these values and habits in your child at a young age can prevent many oral health problems and set the stage for a lifetime of healthy teeth and gums. Make it a priority to take care of your child’s baby teeth.